All photos courtesy of USA Today Sports Images unless otherwise noted. 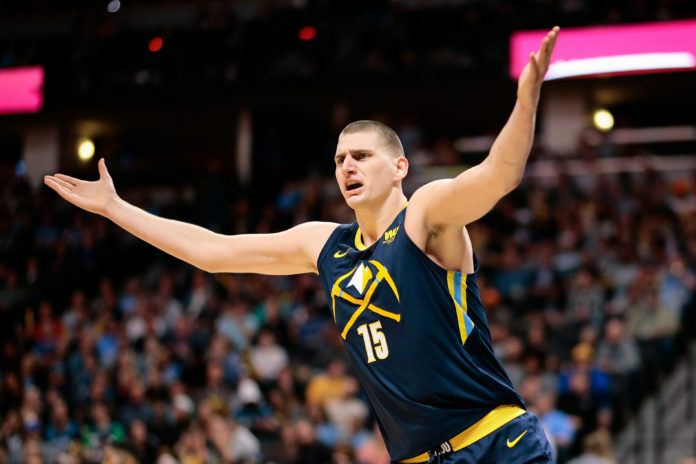 According to Bovada, Denver Nuggets star center Nikola Jokic opens with 100-to-1 odds to win Most Valuable Player of the National Basketball Association next season. 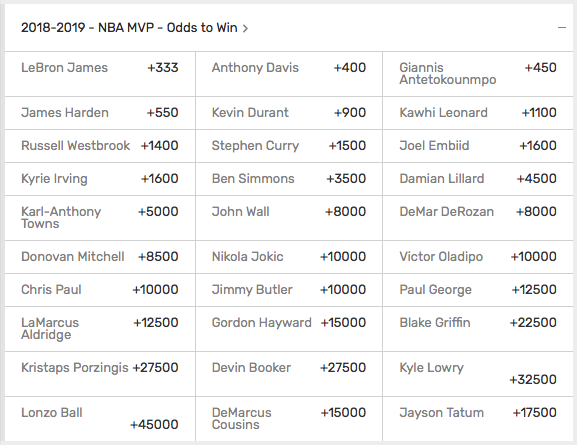 Jokic comes in at 17th on the list and is tied with Jimmy Butler, Victor Oladipo, and Chris Paul who also open with 100-to-1 odds. Here are the full odds curtsey of Bovada. For the Nuggets, who have been fighting for national attention for seemingly decades, it is refreshing to see Jokic already getting some MVP recognition before the season begins. 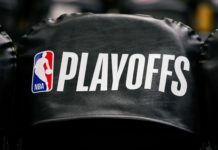 In what is ultimately a playoffs-or-bust season for the Nuggets, Jokic will almost undoubtedly play a huge role in Denver potentially making it back to the postseason. 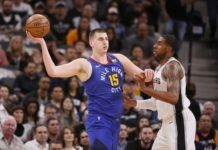 There has not been much seen or heard much from Jokic throughout the offseason up until the past couple of days where the Nuggets star emerged at the Basketball Without Borders camp in Serbia. He has maintained that he is trying to get better in every facet of the game and that he has been focused on keeping himself in shape. If that is true, it will go a long ways towards Jokic coming back even better than he was last year. 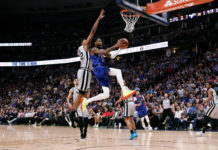 Jokic is coming off of a 2017-18 NBA season in which he averaged 18.5 points, 10.7 rebounds, 6.1 assists, and 1.2 steals in 32.6 minutes per game while shooting an absurd 49.9 percent from the field and 39.6 percent from three-point distance. Jokic was effective and lethal from everywhere on the floor offensively and if he finds a way to continue to improve those numbers, he will eventually be in the conversation for the MVP award at some point in the near future.